WASHINGTON - Veteran black Detroit Congressman John Conyers has just introduced H.R. 894, the “Maternal Health Accountability Act of 2011.” This legislation would provide grant funding for States to establish Maternal Mortality Review Committees to examine pregnancy-related and pregnancy-associated deaths and to identify ways to reduce maternal mortality rates. The legislation also would also help eliminate higher risks for women of color, those living in poverty, Native and immigrant women. It will also improve data collection to eliminate disparities in maternal health outcomes. 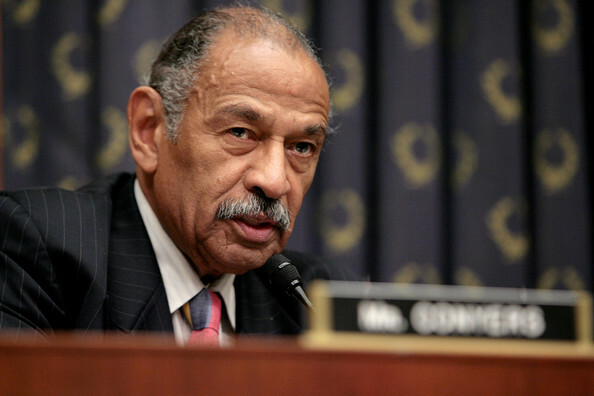 “Improving maternal health care should be a key priority for our federal and local governments,” said Conyers. “We have an obligation to ensure that every mother has adequate access to the medical care she and her future baby need during a pregnancy. Unfortunately, there is evidence that, for large segments of our population, access to maternal health care services is severely limited. In the United States, more than two women die every day from complications related to pregnancy and childbirth. The aggregate pregnancy-related mortality ratio in the United States was 14.5 per 100,000 live births from 1998 through 2005, higher than the previous 20 years. Additionally, African American women are nearly four times more likely to die of pregnancy-related complications than white women. ·The Department of Health and Human Services will develop a research plan to identify and monitor severe maternal morbidity in the United States, which by some accounts has risen 25% between 1998 and 2005, to approximately 34,000 cases a year. Compare the effectiveness of various interventions to reduce to reduce maternal health disparities. Amnesty International welcomes the introduction of the groundbreaking proposed federal legislation that would fund state boards to investigate pregnancy-related deaths and identify effective prevention strategies to reduce overall complications and deaths. . H.R. 894 identifies a key recommendation of Amnesty International’s comprehensive 2010 report, “Deadly Delivery” as a major step toward preventing or reducing high rates of maternal deaths in the United States, a problem that has seen no improvement in over 20 years.